Academics from the UCL Institute of Education (IOE) will today join the Prime Minister of Lebanon, Saad Hariri, to launch a new UCL research centre that aims to better support urban communities hosting huge numbers of refugees. Professor Diana Laurillard, Dr Tejendra Pherali, Dr Elaine Chase and Dr Eileen Kennedy, all from the IOE, will contribute to the five-year initiative that seeks to improve the prosperity of Lebanon, the country that contains the most refugees as a percentage of its population in the world. Led by Professor Henrietta L. Moore, Director of UCL's Institute for Global Prosperity and funded by the Economic and Social Research Council's (ESRC) Global Challenge programme, the RELIEF Centre will partner with other UCL departments as well as the American University of Beirut (AUB) and the Centre for Lebanese Studies. The RELIEF team will collaborate with local groups in Lebanon to explore how refugee and host communities can work together to build public services and better quality living environments. The programme will also explore what prosperity means for refugees and hosts, and develop tools and frameworks for people to monitor their prosperity gains or deficits in their community. Speaking at the launch, Professor David Price, Vice-Provost (Research) said, "UCL was founded with the belief that education should be open to all, and that education has the power to change the world. We draw our inspiration from Jeremy Bentham's belief that we should strive for the greatest good for the greatest number. This serves to remind us of the contribution education can make to building a better world - one that is happier, fairer, and where we all have the opportunity to live prosperous, rewarding lives. "The RELIEF Centre's priority themes - Education, Liveable Cities, Public Services and Health and Wellbeing - are areas where we hope UCL's cross-disciplinary expertise can make a valuable contribution to the work of colleagues from the AUB and the Centre for Lebanese Studies. These themes are not challenges for Lebanon alone but echoed the world over. That is why it is so important that we can come together as an academic community, and as a truly global university to learn from one another and share wisdom for the benefit of all." 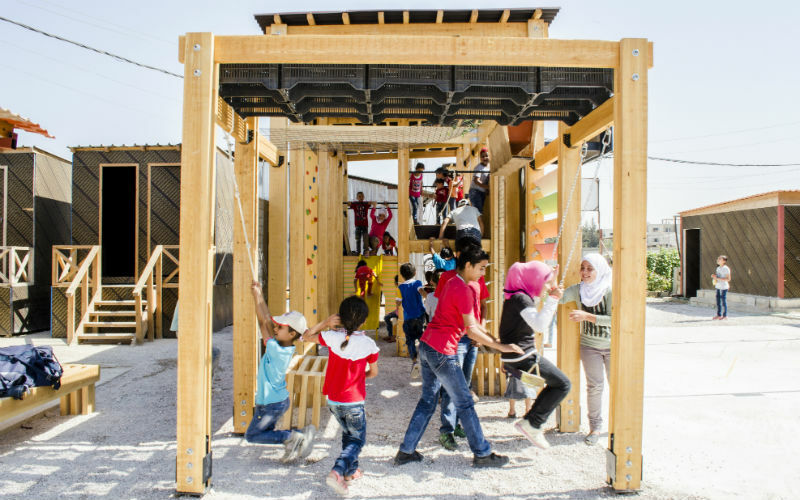 Professor Laurillard, from the UCL Knowledge Lab, will explore how new technologies can be used to deliver affordable education to both refugees and Lebanese citizens, equipping people with the skills and capacities for managing conflict, and improving their environments and wellbeing. "We will use the technology of massive open online courses (MOOCs) to interact with adults in the refugee and host populations via smartphone devices, offering low bandwidth options, given the variable quality of internet connectivity. The FutureLearn platform provides the ideal online environment for a genuinely two-way communication. For example, we can test the local value of research findings on community urban regeneration or waste management techniques by listening to the experiences of participants as they learn about these techniques, building our shared understanding of the effective ways to achieve inclusive growth. "The great value of this research is to bring cross-disciplinary expertise, together with our partner universities in Lebanon, to tackle one of the most challenging social issues of our time, and contribute new conceptual and practical frameworks for action in the field."